How can technology be a force for good in Africa? Despite the technological advancement and the reduction of the digital divide in many countries in the global South, the increased level of connectedness brings about new challenges for the vulnerable of society. Not only is a considerable portion of the populations in the global South still disconnected or connected to expensive and poor quality networks, but their rights online might be neglected; making them even more vulnerable in the digital space. Therefore, a new divide is emerging between those who are aware of their digital rights (including how they are regulated in their jurisdictions and how to protect themselves against digital rights violations) and those who are unaware of what their digital rights are and do not have resources – skills, means and capabilities – to enforce these. We refer to this phenomenon as “digital rights divide”. 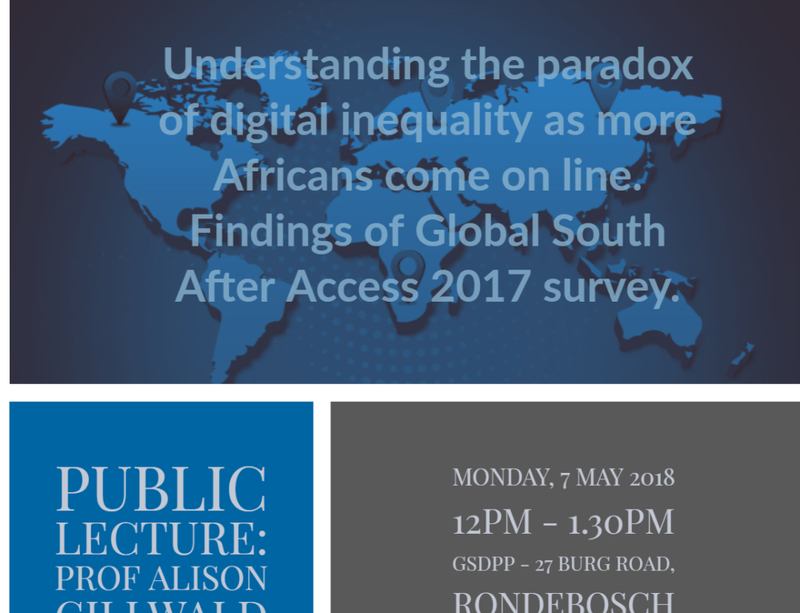 In this session, RIA will discuss findings from its recent After Access informal sector, household and individual access and use surveys, conducted in seven African countries: Kenya, South Africa, Ghana, Nigeria, Tanzania, Rwanda and Mozambique in 2017. The surveys are part of a global initiative on producing much-needed quality data on ICT access and use in the global South. 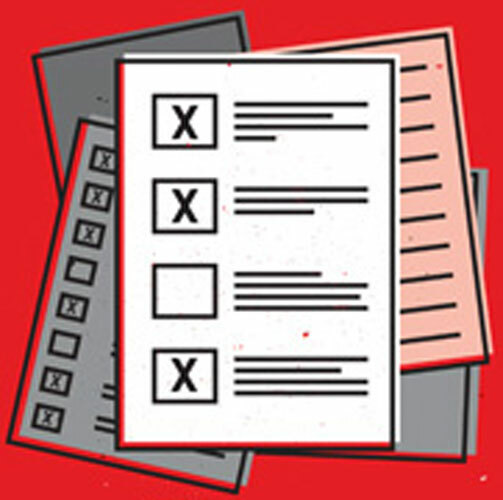 RIA coordinated the surveys with its sister networks, LIRNEasia in six Asian countries, and DIRSi in five Latin American countries. 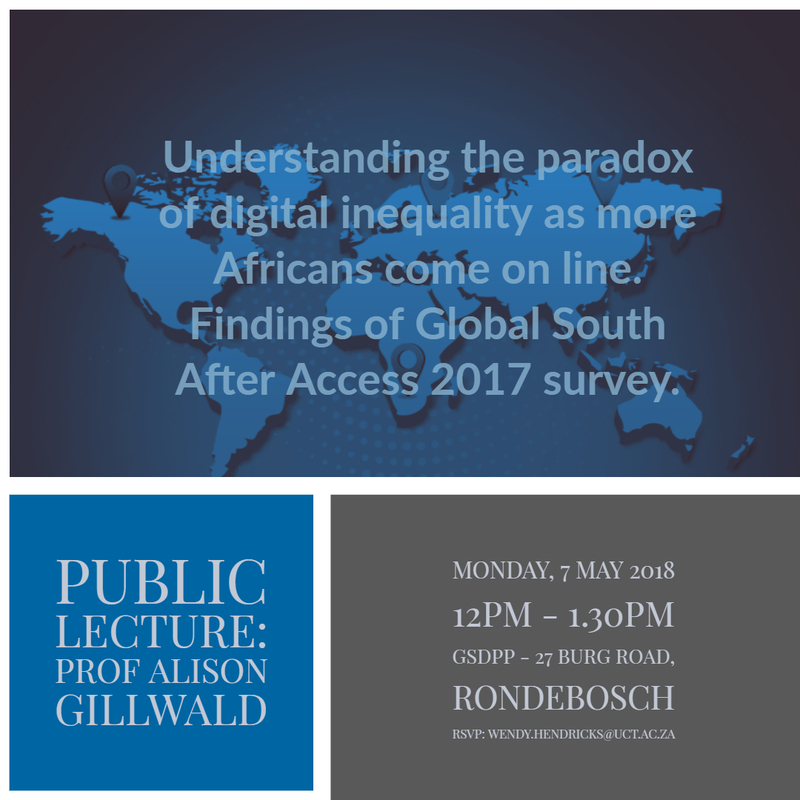 The surveys provide some of the only rigorous and publicly available evidence on the status and determinants of digital inequality. In addition to a review of some of the data of relevance to the digital rights divide, the moderator will engage a number of stakeholders working on challenges related to digital inequality, including in the fields of gender and access; alternative access networks; refugees and connectivity; and digital rights. Dr Rasha A. Abdulla, Professor: Journalism and Mass Communication, The American University in Cairo, Cairo, Egypt.